Homepage Mobile Phones Asus ASUS Zenfone 5z released! ASUS might not be on the top of the best smartphones pillar, but they did make some impact in the industry. They announced a bunch of new smartphones in the past years, with the Zenfone lineup being the most notable. 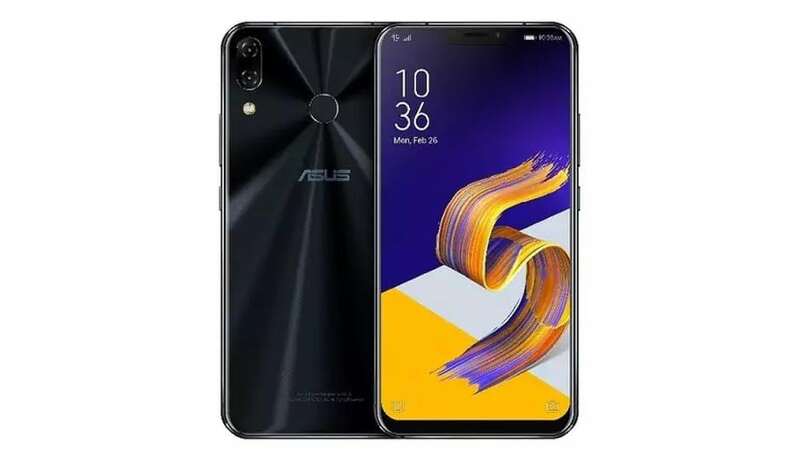 Now, the company released the next smartphone to join the family – the ASUS Zenfone 5z. This flagship device packs a lot of power and useful features for a moderate price. Read on to see all of the details! Starting with the design, the ASUS has nearly all of the things a common smartphone of 2018 has. Glass back – check, tall screen – check, notch – sadly check. Let’s go slowly – the display on the front is a 6.2” IPS panel with Full HD+ resolution and 19:9 aspect ratio. It has a notch, and for a tall display, very noticeable bezels. The display is great though – it’s bright and has great, vivid colors. On the back, you will find the camera setup in the top corner, with the fingerprint sensor in the middle. The back glass is very reflective and expect a lot of fingerprints and smudges on it. It has a nice, premium feel in the hand though. Moving over to the hardware, the ASUS Zenfone 5z packs a lot of power under the body. For starter, the chipset of choice is the Snapdragon 845. This processor is accompanied by the Adreno 630 GPU, and together they will handle any task you throw at them. Memory wise, you have the options of 6 or 8GB of RAM. Both options are great, and you should choose depending on your multitasking needs. For storage, you also have different options – 64, 128 or 256GB internal storage. As a bonus, you can further upgrade the memory thanks to the MicroSD card slot. Rounding up the internals, the Zenfone 5z features a 3300mAh battery that should easily last you through a full day. For the cameras, the device features a dual-camera setup on the back, with a single shooter on the front. The back setup consists of the primary 12MP Sony sensor with f/1.8 aperture, accompanied by the secondary wide-angle sensor. It’s pretty rare to see a dedicated wide-angle shooter these days, which is quite more useful than the telephoto lenses found on every other device. Pictures are great, with a lot of sharpness and details. On the front, you’re getting a single 8PM shooter that should be more than enough for all of your selfies. Finishing with the software, the ASUS Zenfone 5Z comes with ZenUI 5.0, based on Android Oreo. It is moderately modified, but it packs in a lot of useful features. ASUS also boasted many special AI implementations that are implemented in the software. Overall, it’s a great software package, but I have my expectations low when it comes to software upgrades. The ASUS Zenfone 5z is currently available for purchase in India, with more markets in the upcoming months. Prices start at around $440 for the base model, up to around $540 for the 8/256GB model. So, what are your thoughts on the ASUS Zenfone 5z? Let me know in the comments below. Next article Next post: Honor Note 10 rumors!